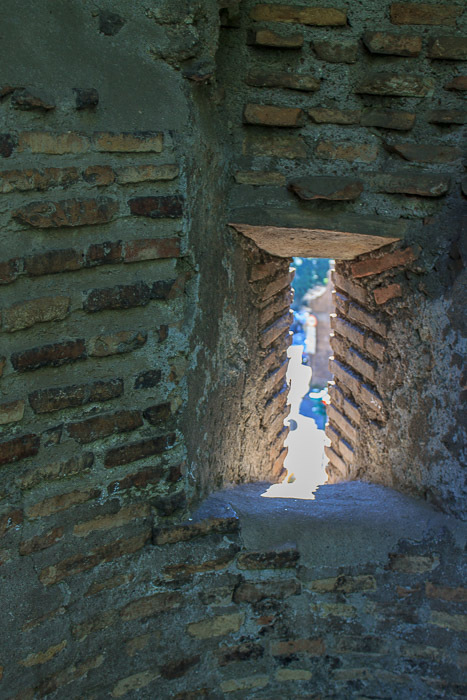 Location: Just inside the Porta San Sebastiano gate in the Aurealian Wall. Hours: 9 AM - 2 PM, Tuesday - Sunday. Closed Monday. 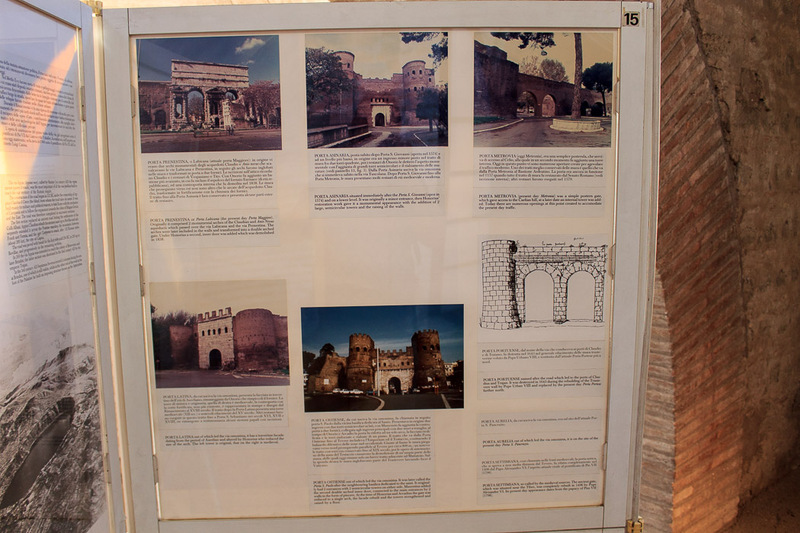 The Museum of the Wall is a small museum of the Aurelian Wall located at Porta San Sebastiano. 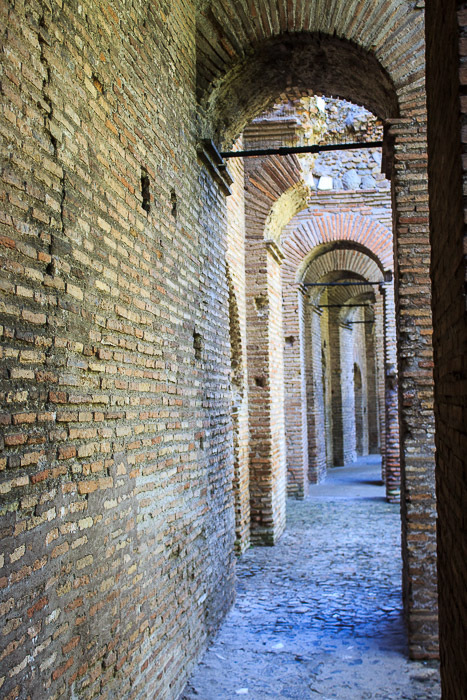 Entrance to the museum is just inside the Porta San Sebastiano gate, and steps take you up to the museum levels inside the gate structure. 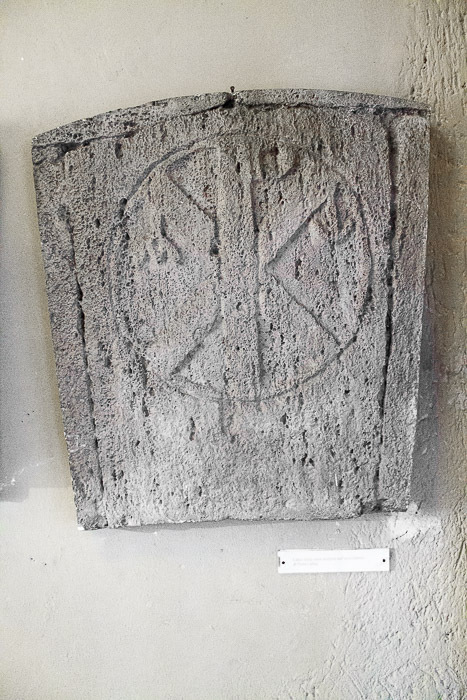 A few rooms in the towers of the gate and the bridge between them contain a artifacts of the walls (1st photo below, for example) and several posters which describe the various gates in the wall and the construction of the wall (2nd photo below, for example). 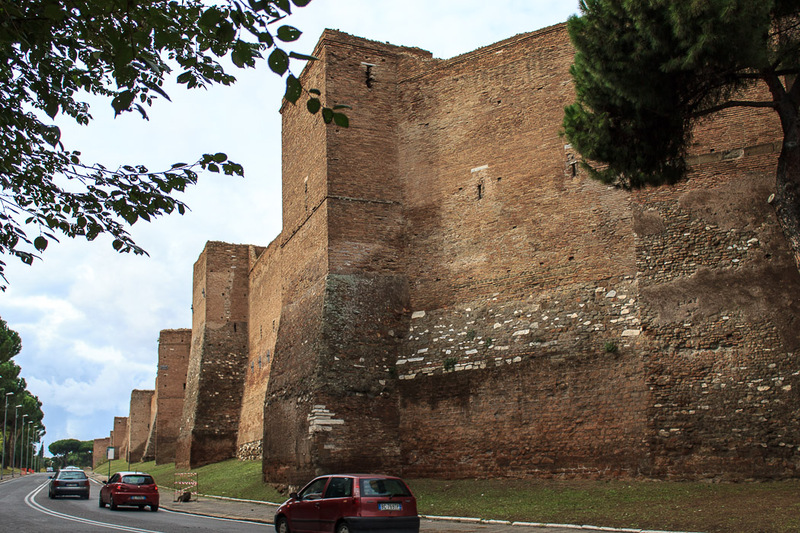 Unless you're really really interested in the Aurelian Wall, this stuff will not hold your interest for very long. But in addition to these exhibit rooms, you can walk in the passageway inside the wall (3rd photo below) where Roman archers once stood to defend the city (4th photo below), and on one of the towers that gave Roman soldiers a view off into the distance as an early warning of invading forces (5th photo below). Those were the things I enjoyed in this museum. 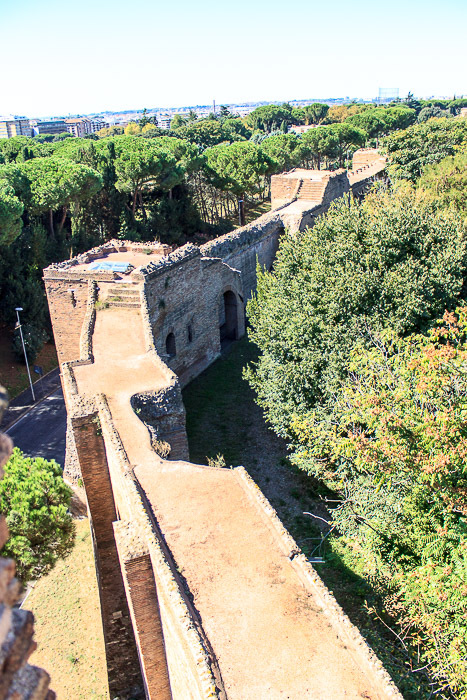 From the top of the towers, the view of the Aurelian Wall stretching off into the distance (6th photo below) is impressive. That same section of wall, from ground level, is shown in the 7th photo below. See all Museum of the Wall photos. 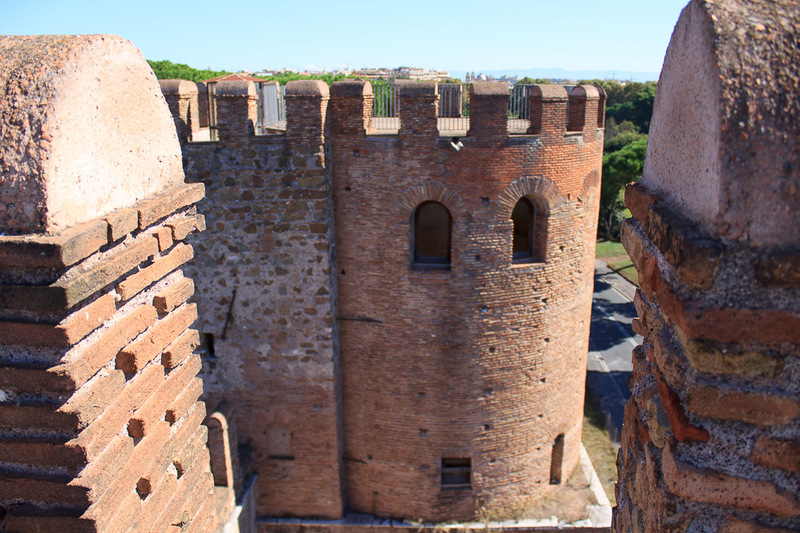 Looking from the top of one side the Porta San Sebastiano to the top of the tower on the other side of the gate, identical to the one I'm standing upon. This spot is accessible from inside the Museum of the Wall.